So, you have placed some new sod in your yard waiting for it to help create a plush lawn around your home. It's one of the things that so many people take pride in, because they love the idea of having a beautiful, green lawn in front or around their home. However, there is one animal to do some instantaneous damage to that sod. An animal that may find that the sod makes for the perfect location for it to find such things as worms and grubs, and so it will rip up that sod to be able to get to them. We are talking about the raccoon. For those who are wondering if a raccoon will tear up your sod, the answer is most definitely yes. In fact, because they love such things as grubs and worms, they will dig at the sod area and tell they are able to reach their favorite snack. This means you have to take action. But how do you stop a raccoon from ripping up your sod? Here are a few tips for you. The first of these is that you can install a protective net. 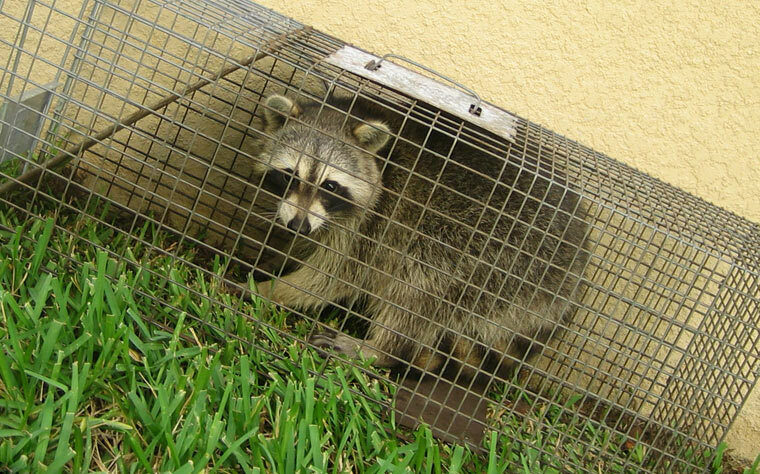 This is a great way to protect your sod against the raccoon because it provides a wire-like mesh that prevents the animal from being able to reach directly to the grass. Best of all, it is quite easy to install. All you have to do is lay it across your lawn and it will stop the raccoon from being able to dig at the sod area. In addition, it does nothing to deter the growth of your lawn. The product underneath will grow without any issue, as the wire mesh does not cause any problems. A second way that you can stop this is by putting up garden lights that are activated by motion sensors. Raccoons are nocturnal, meaning they like to hunt and gather at nighttime. If they come on to your lawn, they will activate the lights which will startle them and they will run away. Another idea that is similar to the previous one is that you can add a sprinkler system that is activated by a motion sensor. When the raccoon comes across the motion sensor and activates it, it will set off your sprinkler system, which will scare the animal as water bursts into it. For those who don't have the money to change their sprinkler system so that it can be hooked to a motion sensor, you should be aware that there is a special product that you can purchase, called a scarecrow sprinkler, that you simply put up in your yard. The sensor is attached to this, and when it detects a raccoon, it will turn on and begin spraying. All you need to do is attach your garden hose to this device and it will do the rest of the work for you. Any one of these three devices can really do the job for you in keeping raccoons away.